Bring your flower garden indoors! 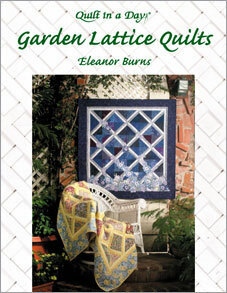 This pattern is perfect for fat eighths and scraps. The seams lock for a perfectly flat, matched center. 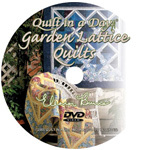 For those that enjoy applique, add fussy cut single flowers or clusters to your quilt. The book takes you step by step through the directions with full color pictures. 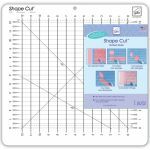 Yardage and cutting charts with guidance on fabric selection.